Gold coloured vinyl. 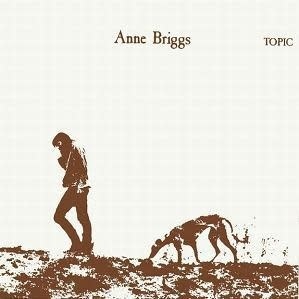 A long overdue reissue of the classic first album from Anne Briggs on Topic. Widley regarded as a long-lost treasure and recorded in 1971 by Sean Davies and featuring Johnny Moynihan from Sweeny’s Men on bouzouki. Anne Briggs began singing in local folk clubs in her teens. In 1962 she became part of the Centre 42 tour which was a leftist group of artists, writers, actors and musicians whose aim was to make arts and culture accessible to the masses. Ewan MacColl first heard Briggs’ remarkable voice and persuaded her to join the group and tour. There Briggs met MacColl’s comrade A.L. ‘Bert’ Lloyd who became her mentor. Briggs debut EP, The Hazards Of Love, was produced by Lloyd. Lloyd also recorded Briggs for Topic released albums The Iron Muse and The Bird In The Bush. In 1971 Anne Briggs recorded this, her debut full length album simply named Anne Briggs with Johnny Moynihan of Sweeny’s Men. Tracks included Blackwater Side, The Snow It Melts The Soonest and Go Your Way (My Love). Famously, Briggs taught Bert Jansch the song Blackwater Side, which he recorded on his album Jack Orion, largely comprised songs he learnt from Briggs who helped him understand the structure of folk song. Briggs and Jansch also wrote a handful of songs together. Go Your Way being one of them.